courtesy of the Russian Ministry of Defense. 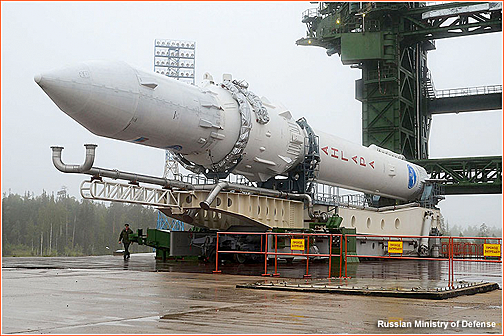 The construction of two Angara launch vehicles may be ordered in 2019-2020 by Roscosmos in order to put the Gonets-M satellites into orbit from Plesetsk Cosmodrome, a source in the rocket-and-space industry told the Interfax news agency. The next Gonets-M mission from Plesetsk has been scheduled for the second half of 2018. Gonets is a Russian multi-functional personal satellite communications system comprised of LEO satellites providing global communications services. It is being developed by the Russian Federal Space Agency (Roscosmos) with the lead designer being ISS-Reshetnev — the satellites' operator and managing company is Gonets Satellite System.